Well we told you it was coming and here it is!!!! The Darwin Rental Market is ridiculously superheated and climbing faster than we could ever expect……we already have the highest median rental price for an Australian Capital City as at the end of June and this example will show you what to expect in the very near future. In May we rented one of my personal investment properties located at 11/12 Brewery Pl, Woolner for $650/week. This is a fully furnished 3 bedroom, 2 bathroom apartment with water views from the balcony! This week…..not quite 3 months later we rented my mother’s property located in the same complex at 14/12 Brewery Pl, Woolner. 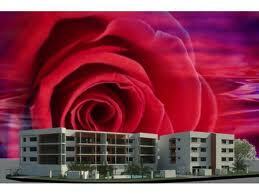 This is a 2 bedroom, 2 bathroom facing in the opposite direction with no views…….The price was $650/week. In discussion with my Property Manager I spoke about the level of enquiry and also what she felt my 3 bedroom apartment would achieve today…..she said I would have no trouble getting $750/week however she thought more like $800. To put that in perspective we are talking a 15% to 23% increase on top of ‘Australia’s highest median rentals’ ……… IN 3 MONTHS!!! At that rate they could be double by June next year!!! I don’t need to tell you what that will do to property prices do I? Last Friday I was extremely fortunate to be able to attend a luncheon presentation by ex Prime Minister of Australia, Little Johhny Howard. 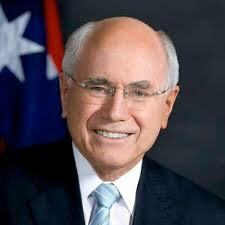 John Howard was the 25th Prime Minister of Australia and served the second longest term in office of any Australian Prime Minister (11 years). This is the sort of event that makes living in Darwin rather than a larger capital city of Australia all the more attractive. When you attend one of these functions in Darwin you get the chance to be up close and personal with the key-note speaker. Before lunch began Johnny wandered through the crowd just having a chat like any normal bloke however as soon as he got to the mic you could tell that he was far from ordinary. 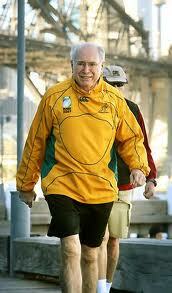 John Howard is a septuagenarian (72) and defying the years. I hope that I am as lucid and half as well versed as he is by the time I am 60! For the 60 minutes that he spoke, without notes, he held his audience captivated. 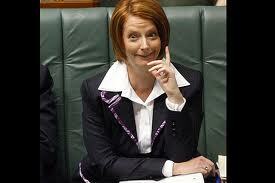 Without becoming heavily politically biased he made some very cutting observations of the current Australian position. One of the key messages I took away from Mr Howard’s oration was that Australia was in an excellent economic position in relation to the rest of the world and Darwin was one of the key economies in Australia responsible for that. He went on to say that this was no thanks to Labour’s dilution of the policies he put in place during his term as Prime Minister however we all knew that before he stood up to speak…..didn’t we? We were treated to a 30 minute Q & A where Mr Howard answered several well thought out questions and left the gathering with no doubt that he was well versed on every topical point in the political arena. When asked what he would have done on Saturday at 5pm when he heard of the Qantas lockout his answer was so sweet…… I want to make it very clear that under my government there would have been no Saturday lockout. I would not have had the problem to address. The unions by their own admission only pushed this point as they had the opportunity to do so under weaker laws allowed by this government…..Oooooh so funny! He looks like Mr Sheen and can make you laugh with his words as well! Clean, wax and polish that Julia! 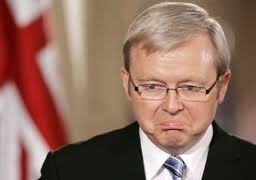 At one point he was asked if the proposed return of Kevin Rudd could mean that he would return to lead the coallition…..He took this as a tongue in cheek comment however I think we all know the result if that was the case and Kevin would breathe a huge sigh of relief that it’s not likely to transpire. Thanks Mr Howard and thanks Darwin for making it possible to see this event from the front row.